Bonus material, rare demos, and select live performances. The latest single from Chewie Swindleburne. Chewie Swindleburne, most well known as the lead singer of gender bending Post-(P)Op trio Zhe Zhe, is a versatile and accomplished songwriter in her own right. Her latest single, "Woman Enough (For The Both Of Us)", a delightful blend of adult progressive alternative country and edgy-feminist-mid-fi-folk-core, demonstrates Swindleburne's range of authenticity. 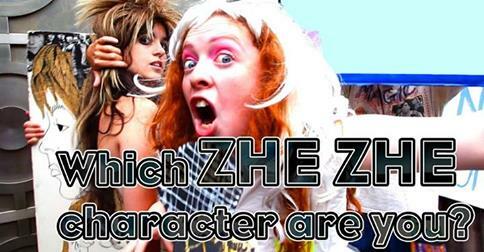 RARE Zhe Zhe demo recording of "Zhemale Trouble" classic song about gender-bending madness.